Best Badminton Shoes For Year 2017 | Khelmart.org | It's all about Sports. 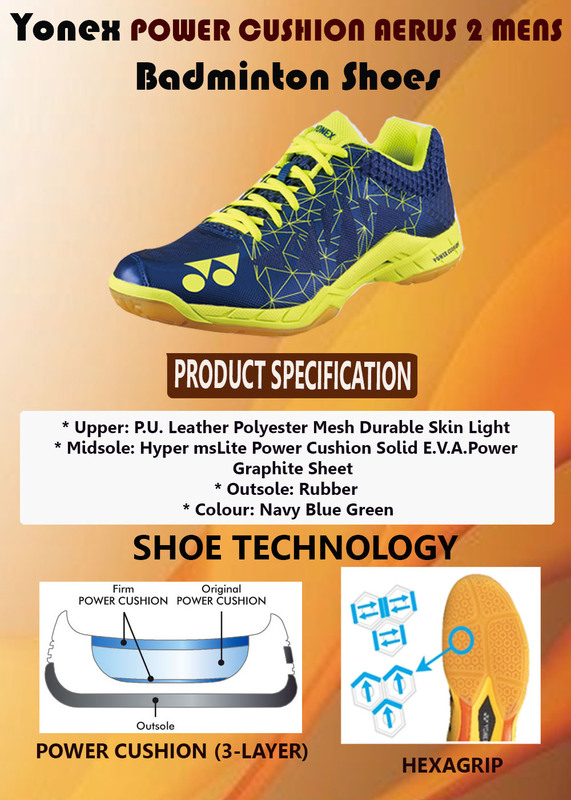 Badminton equipments manufacturers like Yonex , Li Ning and Victor are doing continuous improvement in processes, material and technologies to produce shoe which can give best fitting, performance and durability during long use. Badminton shoes are basically used by badminton player and we all know badminton is world’s fastest racket sport and it required very fast and sharp body movement and court covering. So in order to get best performance, badminton footwear should be of top quality and all need of world’s fastest game should be full filled. 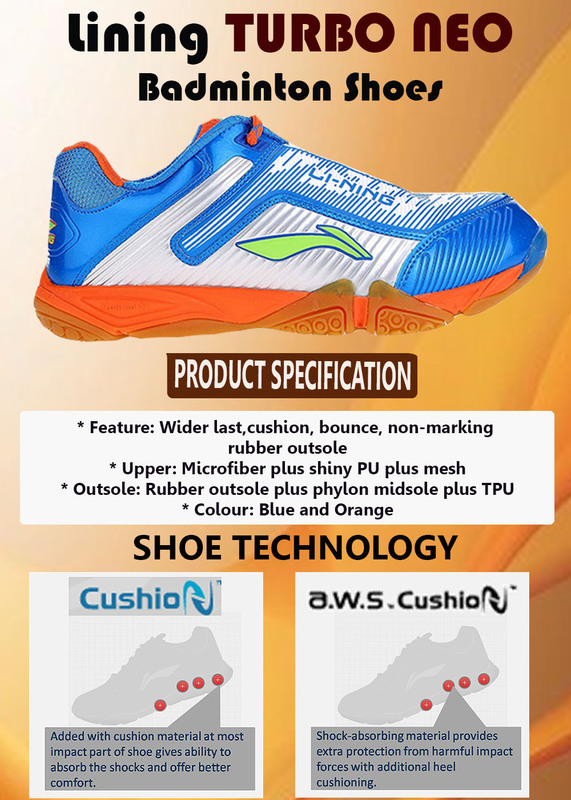 It should develop with best possible shoe layout and design so that it can provide best performance. Outer upper material should be PU or latest micro Fiber which can give you lightweight performance. Shoe should be of lightweight in nature. It should provide good fitting so that player can play easily. It should remain fresh during long badminton rallies. Base on above mentioned requirement, we are listing the Best Non Marking Lightweight Badminton shoes for 2017. 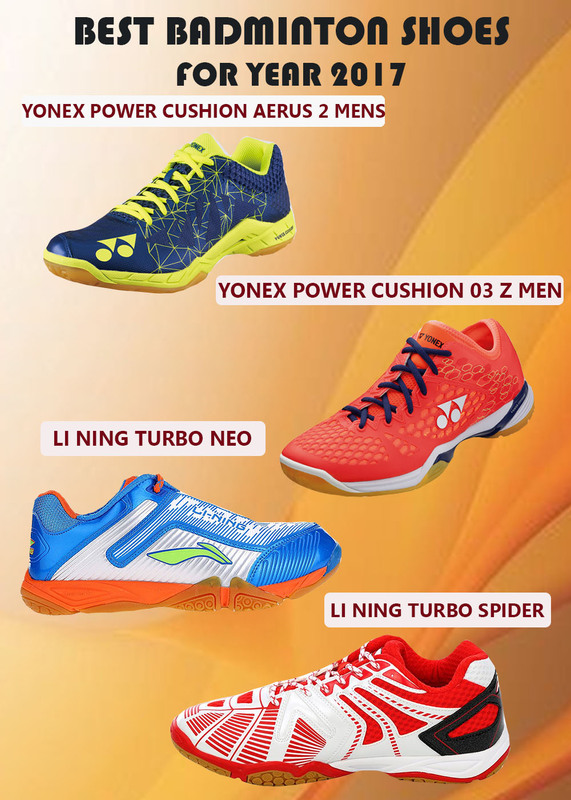 Li Ning turbo Neo is Top End Li Ning Badminton shoe developed for advance badminton players. In order to provide better fitting, shoe is developed on wider last. 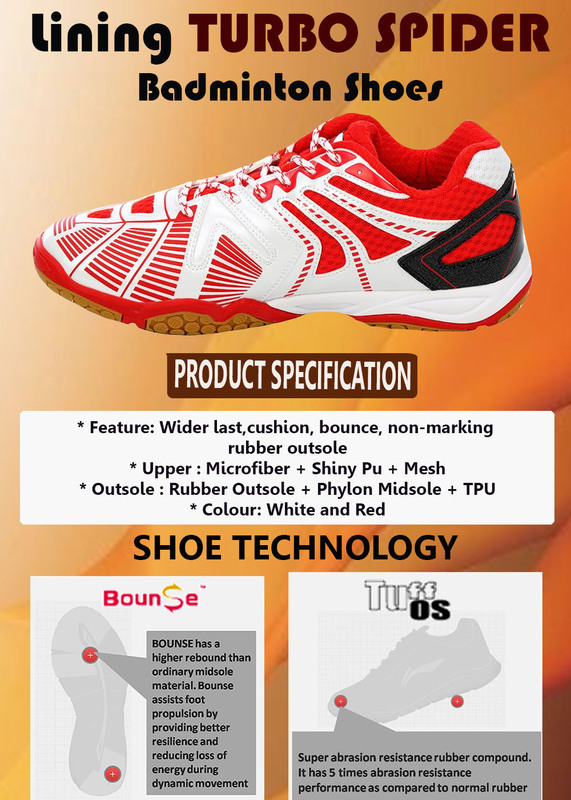 Li Ning Used cushion technology in shoe to improve the overall cushioning and performance of the shoe. 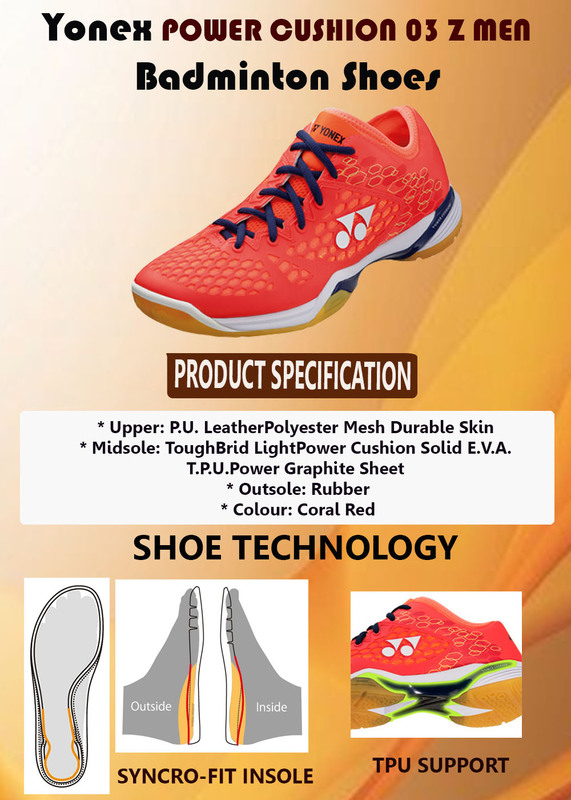 Li Ning used micro fiber material in shoe upper which is better than PU and offers durable performance. Li Ning turbo Spider is another top end Li Ning Badminton shoe developed for advance badminton players. Li Ling used wide last to develop the shoe upper which offers best shoe fitting for different shape and sizes. Li Ning bounce technology is used at mid sole which offer better cushioning and effective court covering. This shoe is made from microfiber material which is durable in nature and gives better and long lasting performance to players. Midsole of shoe is developed with pylon material which good cushioning during impact load. Outer Sole of shoe is developed with 100% rubber material with anti skid qualities. Overall, Li Ning turbo Spider is developed for advance badminton players. This entry was posted in Badminton and tagged Best Badminton Shoes For Year 2017, Images of Best Badminton Shoes For Year 2017, Specification of Best Badminton Shoes For Year 2017, Technology of Best Badminton Shoes For Year 2017. Bookmark the permalink.